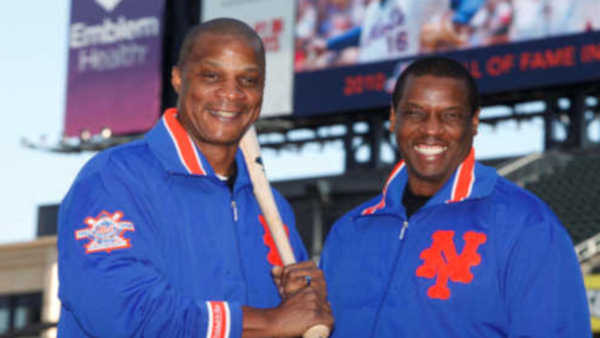 NEW YORK (WABC) -- Back in 1986, both Darryl Strawberry and Dwight 'Doc' Gooden both played for the New York Mets and won a World Series. They also both battled drug addiction. 30 years later, one is now worried for the other's life. Strawberry went public with his concerns that Gooden had relapsed in his cocaine addiction, and is spiraling out of control. As for the former pitcher, Gooden denied there is anything wrong with him, and questioned his friendship with Strawberry. "Darryl Strawberry and I played together for the New York Mets and the New York Yankees during some of the greatest seasons those baseball clubs ever had. I had always been supportive of Darryl, during his best and worst days. I recall the times he was in prison, and I was there for him. I recall the times he struggled with his own addiction, and I was there for him then, too. I had never failed to be there for Darryl Strawberry. I don't do cocaine and have not for years. Last Thursday night, I was unable to attend an event at WFAN with Darryl. There were plenty of times when Darryl was unable to attend events as well. No one, most of all me, made any big deal out of Darryl's absence, nor should they have had. But Darryl has always made our differences personal, going back to our days with the Mets.